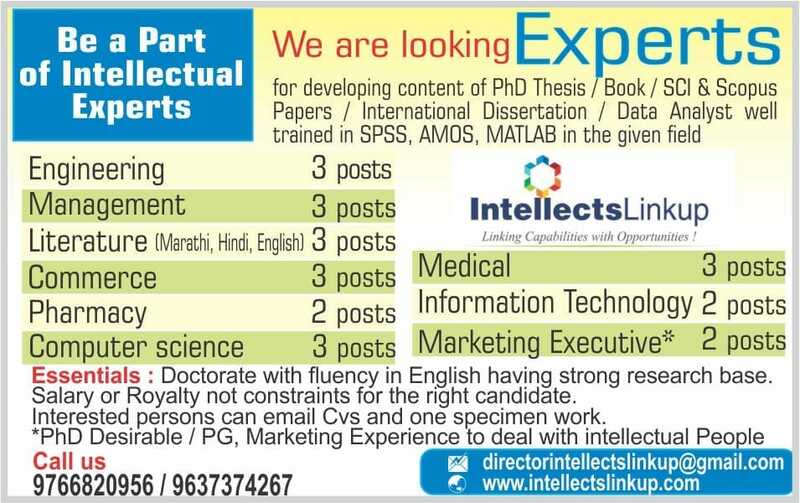 For developing content of PhD Thesis/Book/SCI $ Scopus Papers / International Dissertation / Data Analyst Well Trained in SPSS, AMOS, MATLAB in the given field. Doctorate with fluency in English having strong research base.Salary or Royalty not constraints for the right candidate. Interested person can email Cvs and one specimen work. *PhD Desirable / PG, Marketing Experience to deal with intellectual People.